Game Title: Wanpa Quest 7 -VTuber Debut! Wanpa Quest Another 12 - New Design! Game Title: Wanpa Quest Another 12 - New Design! Wanpa Quest Another 10 is the sequel to Wanpa Quest point and click room escape type games from Wanpa's Store. In this game, you are locked in a room and you try to escape the room by finding and using items with solving puzzles. Good luck and have fun! Note: Scroll down the screen to play the game! 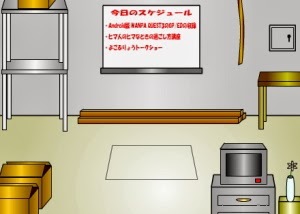 Sonohigurasi - Work at Home is another Japanese point and click type room escape game by Sonohigurasi. In this game, you try to escape the room by finding items and solving puzzles. Good luck and have fun! Wanpa Quest Another 9 - Search Line Stamp Escape is the sequel to Wanpa Quest point and click room escape type games from Wanpa's Store. In this game, you are locked in a room and you try to escape the room by finding and using items with solving puzzles. Good luck and have fun! WANPA QUEST6 episode5 -Battle in Wind Tower - is the sequel to Wanpa Quest point and click room escape type game from Wanpa's Store. In this game, you have to finish the game by finding and using items with solving puzzles. Good luck and have fun! Wanpa Quest Mini 1 - Before Wanpa Quest 3 for Android is the sequel to Wanpa Quest point and click room escape type games from Wanpa's Store. In this game, you are locked in a room and you try to escape the room by finding and using items with solving puzzles. Good luck and have fun!